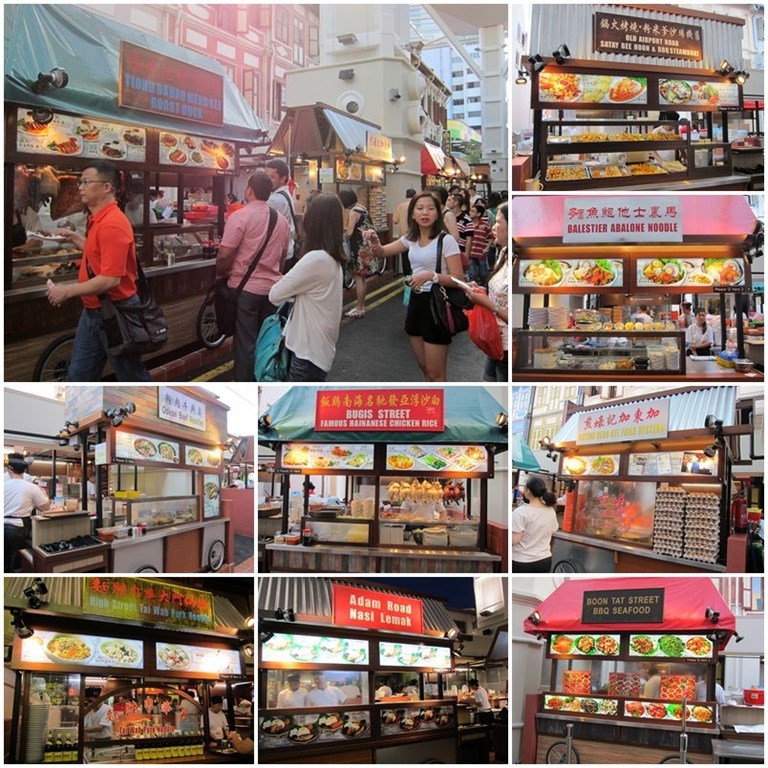 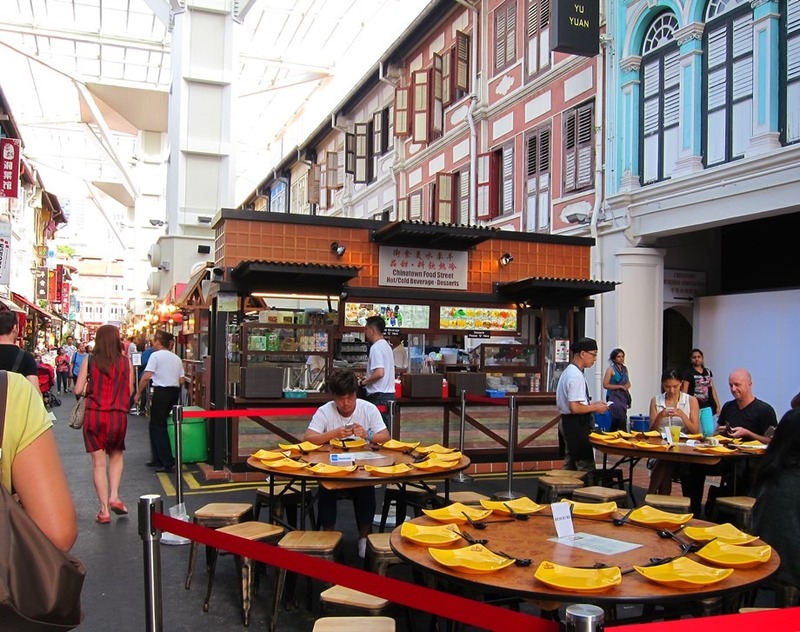 Have you checked out the newly rejuvenated Chinatown Food Street by the Select Group? The new Chinatown Food Street is now fully pedestrianized, with a high-ceiling glass canopy shelter and a built-in cooling system! 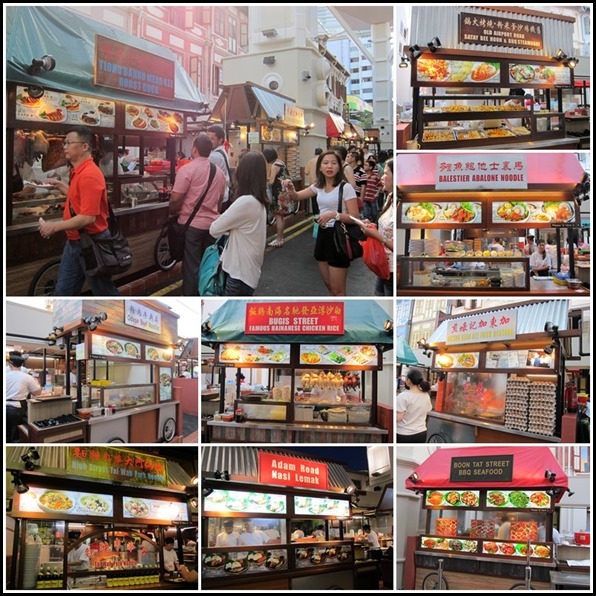 Now you can have local hawker food with the nostalgia of eating right on the streets itself, minus the sweltering heat! 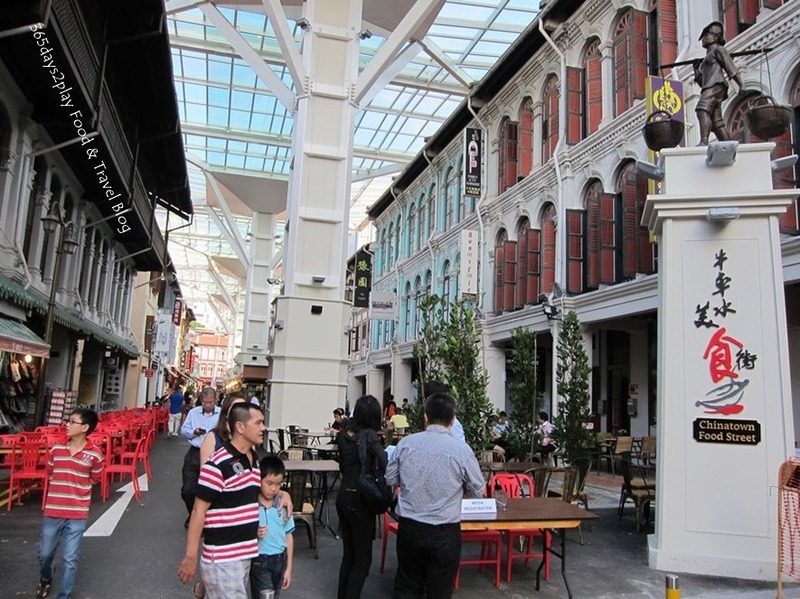 And you will soon be able to enjoy free Wifi along all the Chinatown Streets come 28 March 2014. 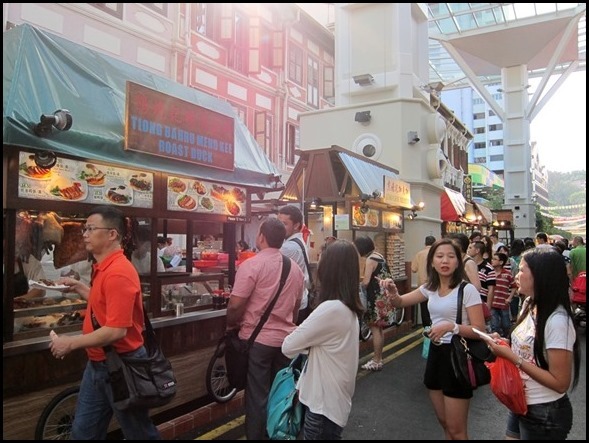 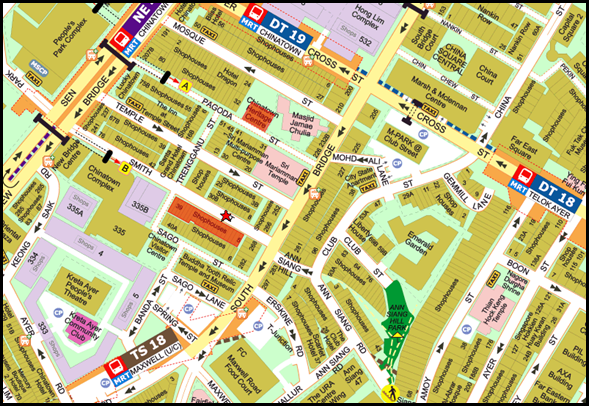 There are 24 street hawker stalls, 6 shophouse restaurants and ad hoc street kiosks and the operating hours will be from 11am all the way to 11pm daily. 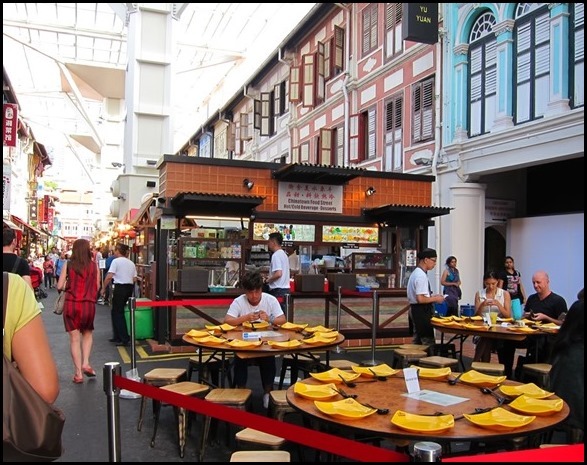 Speciality dishes from all major Chinese dialects and different ethnic groups will be featured here from Hakka Yong Tau Foo to Cantonese Dim Sum. 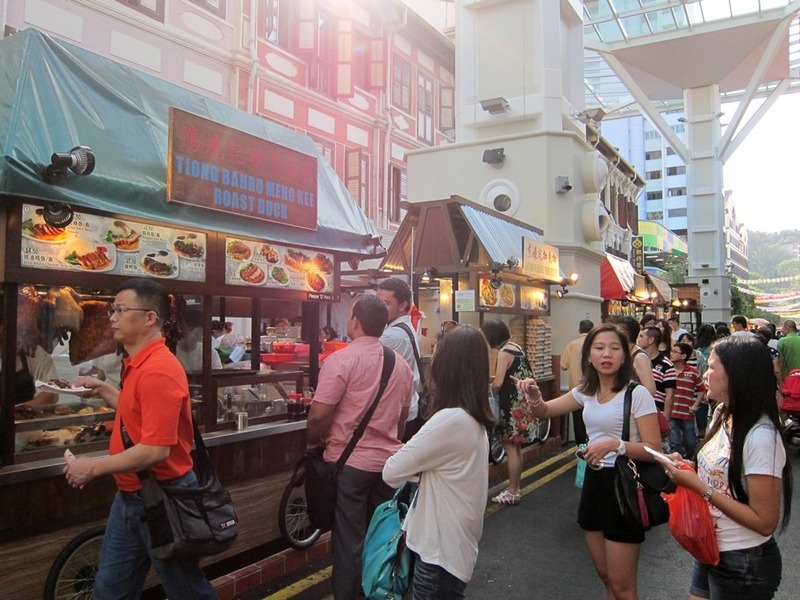 And who can forget Indian Roti Prata and Malay Satay, staples of any street side dining? 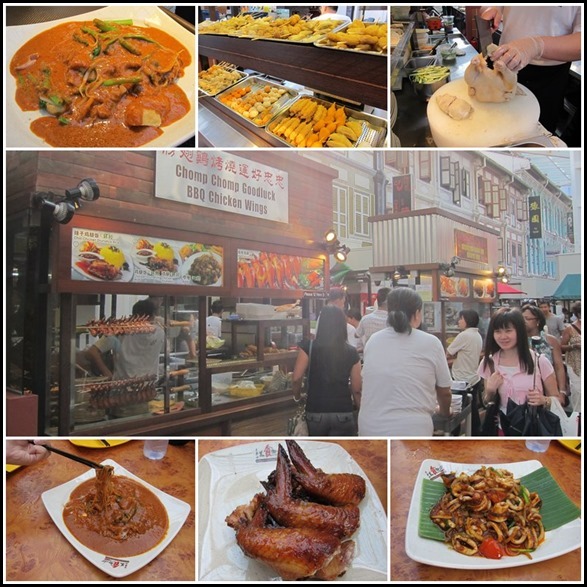 Here’s a quick guide on the top 5 favourite dishes we sampled at Chinatown Food Street so you know where to focus when you get there. 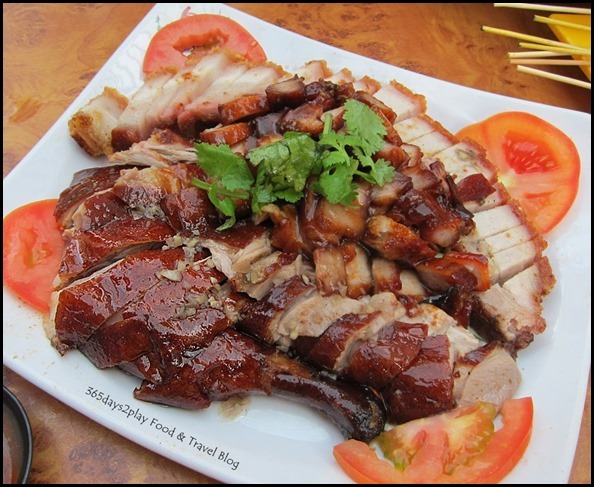 Our best pick is the roasted meats from Tiong Bahru Meng Kee Roast Duck Stall. 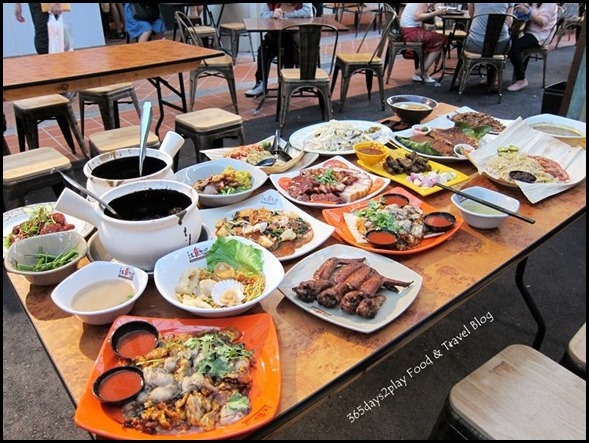 Aside from the pretty presentation, all the meats were great, in particular the char siew which had a great depth of flavour. 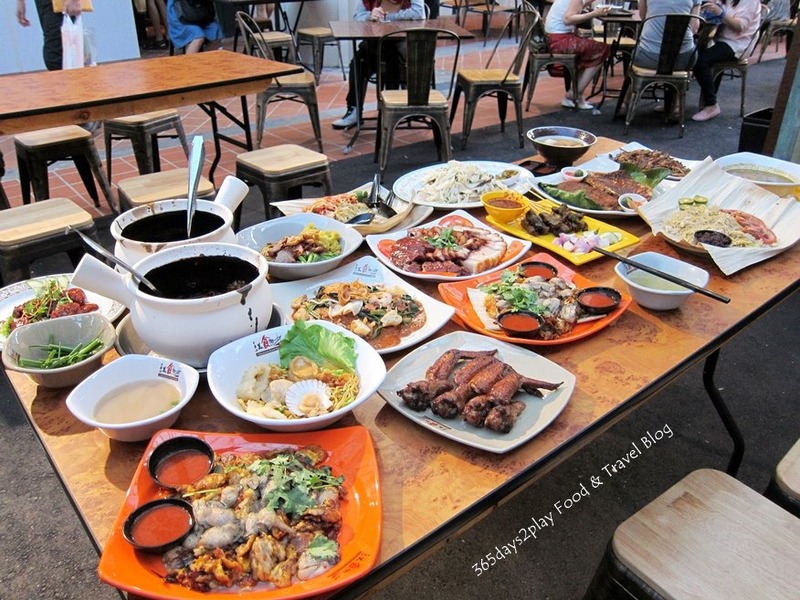 Another great option to have would be the frog porridge. 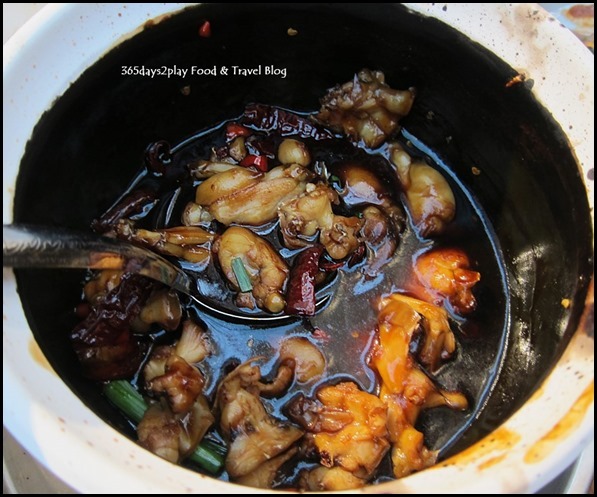 We found the frog flesh to be exceedingly fresh, very tender, voluptuously firm in texture and went so well with the spicy sweet sauce. 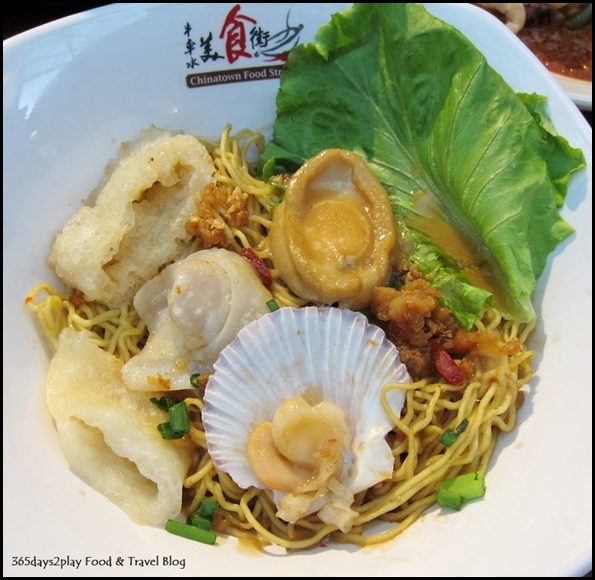 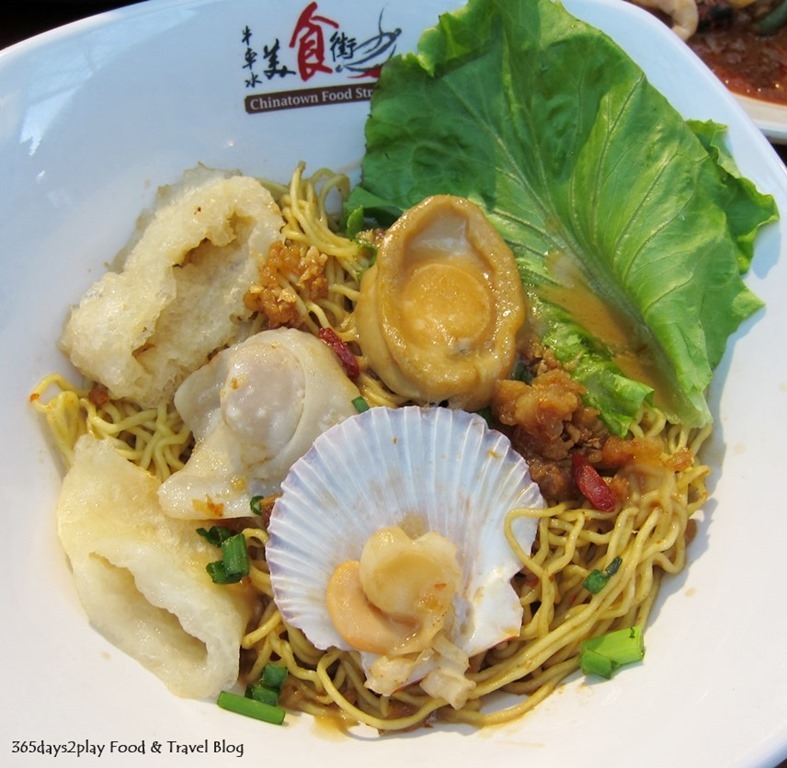 The abalone noodles were another hit with us, I’m sure helped in part with the generous use of pork lard. 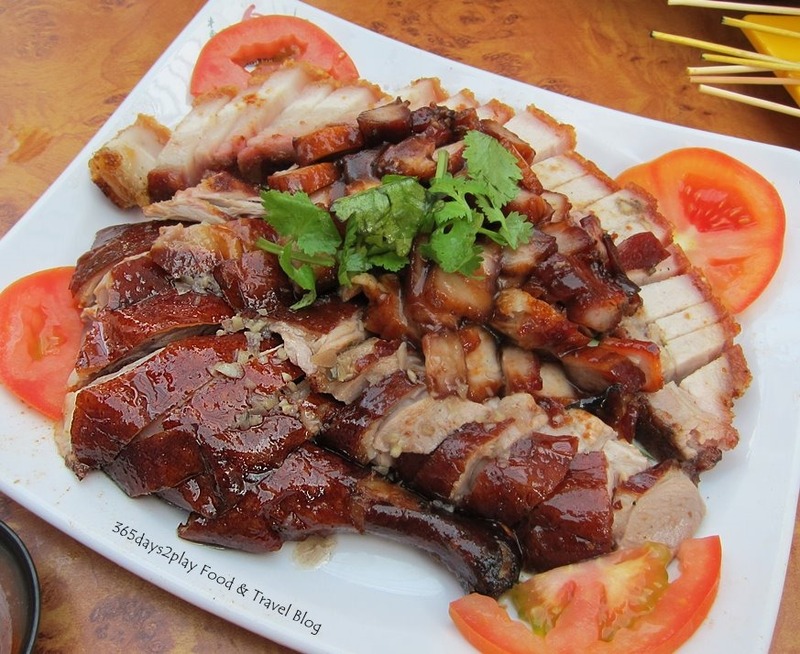 Those who wish to have the full works, this would be it. 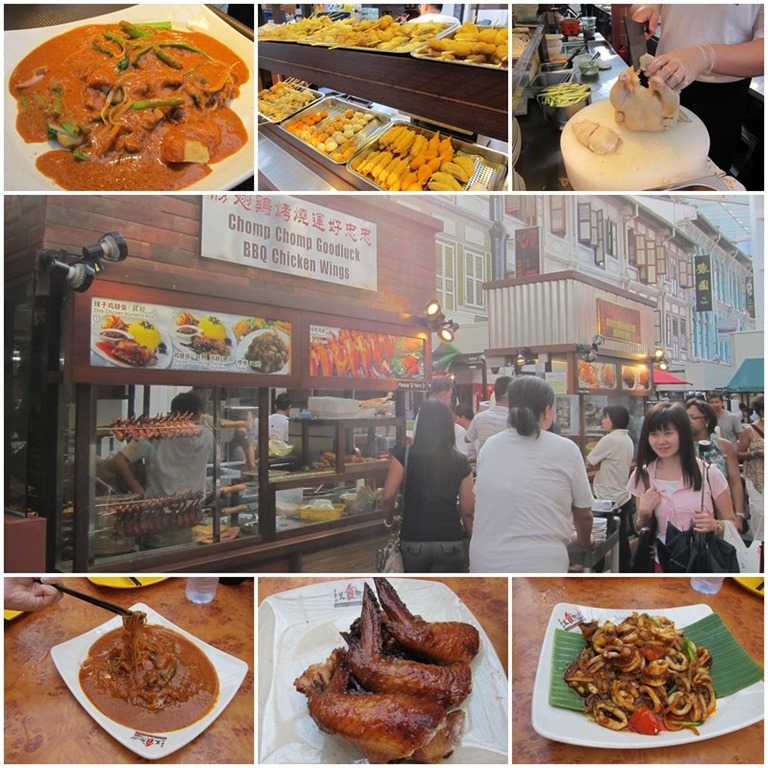 Thank goodness the chicken wings here were very good as well, as this is a perennial favourite for all Singaporeans and tourists alike. 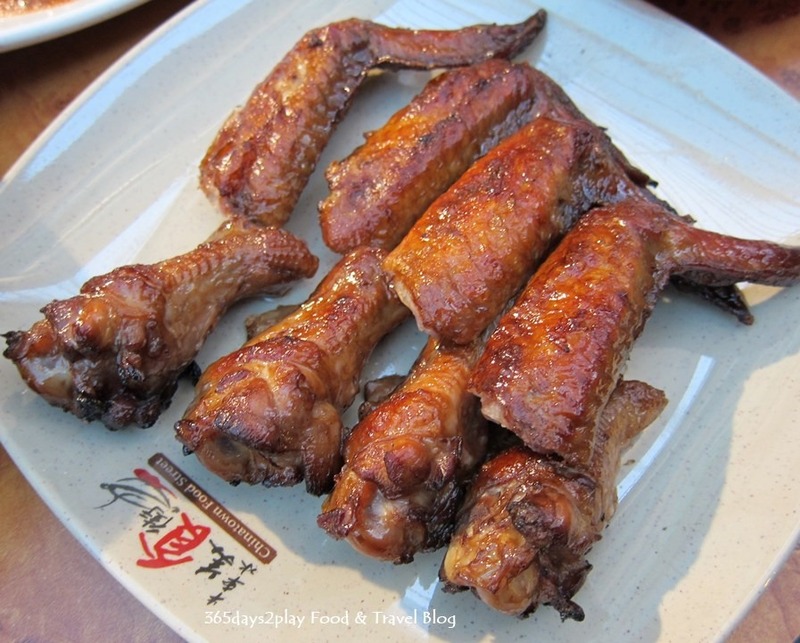 We found them to be very crispy and juicy, something that is surprisingly difficult to achieve. 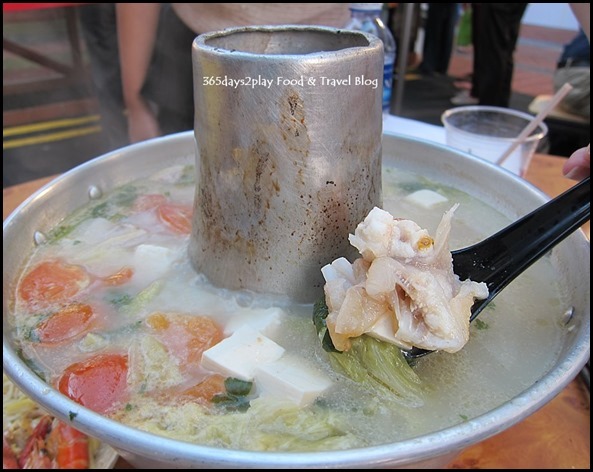 And if you’ve got a bit more cash to spare, we would highly recommend the fish head steamboat from Chen Fu Ji Restaurant. The soup was light on the palate and very flavourful without being salty. 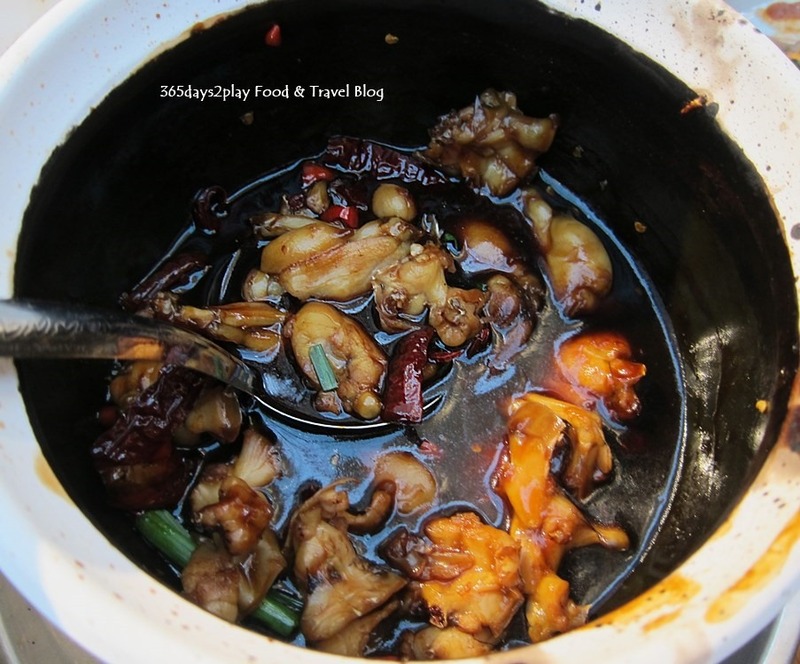 Fish and other ingredients were also fresh tasting. 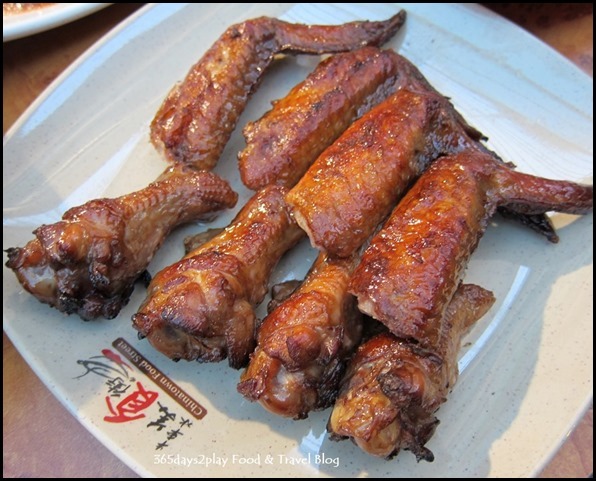 You can tell your friends to meet at this Samsui Woman Statue so that people won’t get lost.